As a business owner understandably you’re focused on sales and growth. Most business owners I work with are too. But I also see many letting money slip through their fingers unnoticed. Profits they could retain with a few simple steps. We’ve finally woken up to the benefits of having an engaged team yet evidence still shows that 80% or more of staff are not engaged at work. That’s shocking and frankly quite sad. What’s more it’s costing us millions. It’s crazy that business owners measure their financial and sales performance, yet so few measure how engaged their employees are. And if you don’t measure it how can you manage it? Unfortunately disengaged employees aren’t necessarily that easy to spot. These are also the people who only do the minimum expected and seldom more, they rarely go out of their way to support their colleagues, and are liable to whinge the minute your back is turned. They’re not consciously unhappy, but nor are they enthused, excited or energised about their job. But the worst of it is they are like a rotten apple. If we don’t spot them early they bring everyone else along with them. 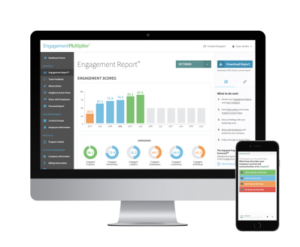 Look here to see how you can measure your engagement levels right now. And stop those profits sneaking out the back door.